A former government emergency expert made a detailed death bed confession of how he was shown inside an alien flying saucer at the top-secret Area 51 military base, it has been sensationally claimed. Mr Hellyer, who became a UFO expert after claiming to have seen proof of alien visitations while in office, said: "The reason I know is I interviewed the previous one, who is now deceased, and he went to Langley and the CIA asked if he would like to see one of these crafts. 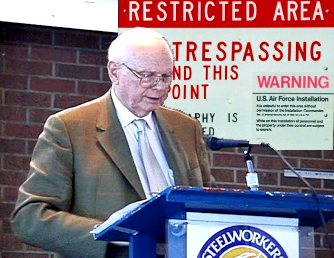 "Hellyer’s UFO Tales are Unintentionally Degenerating into Clumsy Propaganda Stunts..."
Is Former Liberal Cabinet Minister Paul Hellyer Insane?